The stock market can be downright confusing to many people. Even if you understand the basics – that shares in companies are constantly being traded for varying prices – the constant fluctuations and huge amount of numbers can be overwhelming. Stock tickers aim to make it a bit easier to get a feel for the market at a glance. They can help you understand whether the overall market is having an up or a down day and can also give information on specific stocks. However, in order to translate the stock ticker and use it to make investing decisions, you need to know how to read the stock ticker. There are five parts to a stock ticker: the ticker symbol, volume, price traded, change direction and change amount. A stock ticker shows the changes in price of certain stocks on the market. It is also known as a stock chart or stock table. The name "ticker" comes from earlier days of trading, when ticker tape was used to show each change in price of a stock, known as a tick. Today, stock tickers are electronic and are most easily spotted scrolling along the bottom of your television screen. Because there are lots of stocks being traded at a given time, only a select number are put on the ticker. Usually, these are stocks that had big gains or losses on the previous day of trading or those that are being traded at the highest volume. 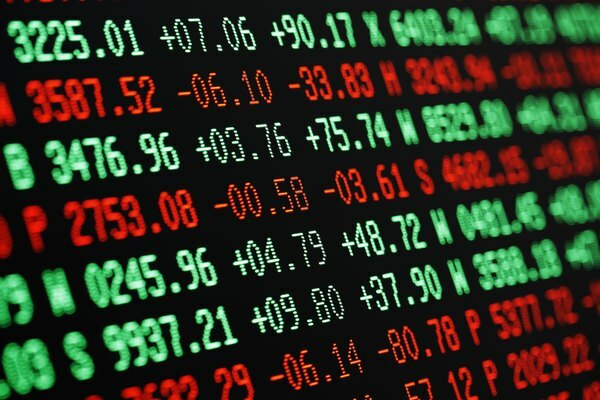 In order to understand the stock ticker, you need to know what information is being conveyed. The ticker symbols have five components, which show the company being traded, how much of the stock is being bought and sold, the price and whether that price is an increase or decrease in value. 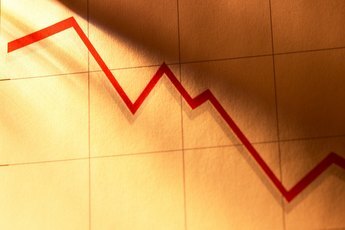 Generally, there's also an arrow indicating whether the stock is increasing or decreasing in value. The ticker is also color coded, with green indicating that the stock is up from the previous day's closing price and red indicating that it is down. The first piece of information shown on the ticker display is the ticker symbol, usually a three or five-letter designation that shows which company is being traded. 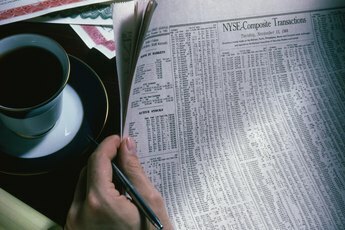 Each company that is traded on the stock exchange has a unique designation so that stock holders can easily recognize the company's information on the ticker. The second piece of information displayed is the volume. This shows you how much of a stock is being bought or sold on that day. Since a significant amount of trade is always happening, this is abbreviated as a number with either K (indicating thousand) or M (indicating million). The rest of the information shown on the stock ticker is about the price of a stock. Following the volume reading is the price, shown in dollars. This is the current trading price of the stock, or for how much it can be bought or sold at that moment. Next, you'll likely see an arrow, indicating whether the stock value has increased or decreased from the previous day's closing price. If the price has stayed the same, the arrow might not be there. The final number on the display shows the amount that the stock price has changed, either in dollars or as a percentage of its value. 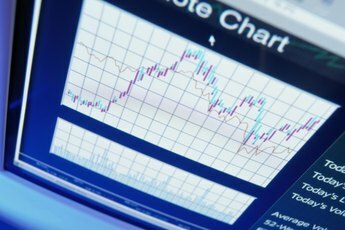 Investopedia: What Is A Stock Ticker? StashLearn: How Do You Read A Stock Ticker? Kelly Burch is a freelance journalist living in New Hampshire. Her writing on educational issues has appeared on Bright, The Washington Post, We Are Teachers and School Leaders Now. How Do I Read Stock Market Information? How do I Begin Internet Stock Trading? 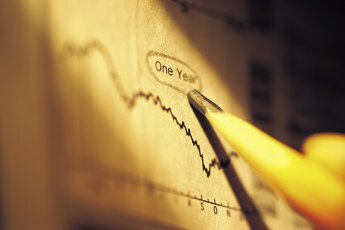 How do I Research Stocks Online?